Latest on the Senators, Hurricanes, Red Wings, Canadiens, Kings, Oilers, and Sabres in today’s NHL rumor mill. TSN: Darren Dreger and Bob McKenzie report preliminary contract discussions are ongoing between the Ottawa Senators and pending unrestricted free agents Matt Duchene and Mark Stone. With the Feb. 25th NHL trade deadline approaching, a decision will have to be reached soon if they’ll be re-signed or traded. NICHOLS ON HOCKEY: Appearing yesterday on Edmonton’s TSN 1260, Dreger believes Senators center Ryan Dzingel could be traded. Like Duchene and Stone, Dzingel is due to become a UFA in July. Dreger thinks the Senators can get a decent return and feels teams looking for an upgrade up front, such as the Edmonton Oilers, have to be considering Dzingel. SPECTOR’S NOTE: If Duchene and/or Stone haven’t’ re-signed by the time the calendar flips to February I believe the Senators will try to move them. If that happens they could push to re-sign Dzingel. I think the Sens prefer to re-sign Dzingel but if Duchene and Stone are re-signed they won’t have enough cap space to keep him. TSN: Bob McKenzie said the Carolina Hurricanes’ acquisition yesterday of winger Nino Niederreiter won’t prevent them from shopping one of their defensemen for a forward. 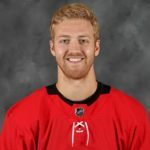 Dougie Hamilton is frequently mentioned of late as a trade candidate but McKenzie feels any of their right-shot blueliners other than Jaccob Slavin is available for the right price. McKenzie also noted the Hurricanes still have to decide what to do with pending UFA winger Micheal Ferland. It’s believed team owner Tom Dundon recently met with Ferland. In an interview earlier in the day with Edmonton’s TSN 1260, Darren Dreger said the Hurricane’s preference is to re-sign the winger but it depends on the cost. There’s speculation Ferland’s seeking $6 million per season but Dreger said he doesn’t believe the winger’s agent has submitted that request. SPECTOR’S NOTE: Slavin is a left-hand shot but it’s believed he’s the sole untouchable on the Hurricanes’ blueline. Hamilton, Brett Pesce, and Justin Faulk have popped up in trade speculation since last summer. One of them seems likely to be deal for a scoring forward. If they can’t get Ferland re-signed, he’ll be shopped before the trade deadline. TSN: Darren Dreger reports the Detroit Red Wings could have some interesting commodities to dangle in the trade market. Goaltender Jimmy Howard, winger Gustav Nyquist, winger Luke Glendening, and defenseman Niklas Kronwall could be of interest to playoff contenders. SPECTOR’S NOTE: The Wings reportedly seek a first-round pick for Howard or Nyquist. Kronwall, who could retire at season’s end, has a 10-team trade list and I think he prefers finishing his career in Detroit. TSN: Darren Dreger appeared on Montreal’s TSN 690 yesterday discussing possible moves by the Canadiens. While GM Marc Bergevin recently expressed his reluctance to trade draft picks and prospects this season, Dreger wonders if the growing number of quality players in the trade market might change his mind, especially with the Habs jockeying for a playoff spot. He noted players such as Jake Muzzin and Tyler Toffoli of the Los Angeles Kings and Brayden Schenn of the St. Louis Blues could be tempting targets for the Canadiens or any other club. THE ATHLETIC: Pierre LeBrun reports Bergevin doesn’t intend to be a buyer or a seller this season. The Habs GM could make a move if it’s a hockey trade for a player with term left on his contract that makes sense for his club. Noting the Canadiens have plenty of salary-cap space, he speculates a team looking to shed salary could come calling. Speaking of Muzzin, LeBrun reports the Kings’ asking price is a first-round pick and a prospect. SPECTOR’S NOTE: The Canadiens need help on the left side of their blueline and Muzzin could be a great fit. If Bergevin remains resistant over moving his picks or prospects, however, he’ll have to look elsewhere for a left-side defenseman. NICHOLS ON HOCKEY: Darren Dreger told Edmonton’s TSN 1260 his sources say the Oilers are reluctant to move Puljujarvi, who’s seeing limited playing time and doesn’t want to return to the AHL. While there are rumors the Oilers could move their 2019 first-round pick for a top-four defenseman or top-six forward, Dreger said he doesn’t think they’re aggressively shopping that pick. EDMONTON JOURNAL: David Staples cites a report by a Finnish sportswriter blaming the Oilers for hurting Puljujarvi’s development. The young winger also acknowledged he’s heard the trade speculation but said he’s not thinking about it. The writer, however, believes Puljujarvi would benefit from a trade. SPECTOR’S NOTE: Puljujarvi is only 20 and still has plenty of time to become a scoring winger. I can understand the Oilers’ reluctance to give up on him and risk seeing him blossom elsewhere. However, this situation could reach a point where they’ll have no choice but to move him, especially if they get a decent offer that can help them right away and over the long term. WGR 550: cited a report by TVA Sports’ Renaud Lavoie indicating Buffalo Sabres defenseman Nathan Beaulieu is unhappy over the decline in his playing time. He and his agent have requested a trade. Beaulieu said he likes Buffalo but he wants more playing time. I guess Puljujarvi is now the latest bust of a top prospect to have a claim made on his behalf blaming his team for all his problems. We’ve certainly heard that song many times before. And when the team finally gives up and cuts the player loose, how often do they make a solid impact with another team? It seems not too often. As a Habs fan, I always thought that the aforementioned Nathan Beaulieu’s development was being harmed by Therrien and Daigneault. Now he’s playing for a coach who was an All Star defenseman and who played a strong role in developing Nashville’s strong defense. And he’s sitting more than he’s playing. Marc Bergevin is certainly correct that, ultimately, the responsibility falls on the player. This generation has a hard time with accountability. Agree in principle Howard, it does rest with the player ultimatley. But with JP, I simply don’t understand why he didn’t spend the better part of his first 2 seasons in the AHL instead of playing 12 minutes a night in the NHL. They made the mistake last year, and are repeating it this year. You drafted him to play in your top 6 and be an offence producer. In the AHL he would get those minutes, more practice time, more dedicated coaching time for specific skill development that needs improving. Celebrate goals and success and build confidence in his game. It is noted above that he doesn’t want to go to the AHL, too bad, not his call nor should it be. The Oil need to do what’s best for him not what he wants. Would that have made a difference? We will never know but I think it would have. When has it ever hurt to have a player spend a a couple years in the minors? Send him down now and see how he reacts, it will tell you a lot about who he is. Agree Ray, it’s no good for is development sitting on the bench. With that said that’s exactly what the late Pat Burns did with Joe Thornton who was getting less then 4 minutes on some nights. Joe turned out OK.
I’m with Ray on this. I would love to have seen what his play would have been had he done 2 full years in development in the AHL. Yes , we can’t know that he would have done any better now for sure; but the odds should favour a better path to the NHL through developing skills and confidence on route to a long career. There are players that definitely should jump right to the NHl and will thrive. For the most part however, 18 year olds do benefit from an extra year of developing. Many 19 year olds as well. There are some that hit their stride at 20 or 21. At 20 with 2 more years developing, players have gained weight, strength, knowledge, confidence, and most of all experience. I’ve advocated before for the change to a 19 year old draft. That draft class included: The Flower, Bergeron , Eric Staal, Getzlaf, Burns , Perry, Weber, Seabrook, Carter, Crawford, Suter , Buff, Vanek, Phaneuf, Brodziak, Parise, Backes, Fehr, Kesler, Pavelski, Boyle, Halak, Enstrom, Elliot, Eriksson, Dustin Brown and Howard just to name a few. Any of Wsh, Clb, NYI, Pens , and yes even Car can end up as at All-Star break, in that last ECWC spot. Pens could be (at that time) out of a playoff spot. I’m really hoping my Wings don’t trade Jimmy, even for a 1st. I think him and Bernier are a fantastic duo for the rebuild! I think Gus can be expendable though. It all depends on contract demands. If Jimmy can accept a decent increase to 6.5 mill or so, definitely keep him. If he gets too crazy though, trade him! Also, Holland should make a good push for Ferland. As for Puljujarvi and the Oil, time for Chia to redeem himself (If possible). The Oil should blow it up a bit with another team looking for better things : the Panthers. Pick away, fellow Rumour Mongers!!! I’m not picking, but I can’t see a 1st for Howard. Just can’t see it . UFA, 34 years old. and I don’t see many playoff teams with the need at that expense, barring injury. Even then, that is a steep price for a goaltender. I can think of 2 that got that return in recent years. Schneider, and Lehner. The Florida trade highly unlikely and very tilted toward Edmonton. We never see trades involving that many players with names like that. With you — 1st for Howard would be a stretch. Stranger things have happened, but I would be surprised. 2nd rounder not out of the question IMO. I think Holland has given his asking price and if a team is willing to pay that great but if not, they will happily keep him for the rebuild. At his age and stage in his life would he really uproot everyone in his family for maybe a million bucks or be apart from them for a large part of say 2 maybe three years? He has made decent coin and would possibly get a front office job after his career is In the rear view. 20 is a little young to throw top 10 draft players under the bus. What other assets do the Oil have besides someone like Pujularvi . Just don’t give him away. Find a similar situation and exchange . Muzzin would be a great addition to a number of teams. A smart GM will make a deal a couple of weeks in advance of the TD. Otherwise we have to speculate for another 38 days. I do favour Manson over Muzzin (for the simlar cap space) for any team driving for a deep run. — younger and with more term. both are great adds to any playoff bound team. Smart, gritty, with size and very very dependable. With LA out of the hunt and An on the cusp; Muzzin IMO is the more likely to be moved first. Loved the Leafs win last night. Thank you thank you thank you Freddy. However, we Leaf fans shouldn’t at all think this means Leafs can beat TBay in a 7 game series. I still believe that we canNOT this year, barring something cataclysmic with TBay or somehow trades that net us a big D upgrade. Just can’t see it. Freddy is great and will play great in the playoffs but to think that he will stand on his head while Vaz has 4 sub-par games would be, IMO blind faith. Add to that, 4 games where the bounces and weird plays (such as missed puck hitting netting that got the EN goal) are skewed in Leaf favour is also unlikely in the playoffs. Even minor nuances of the game went Leafs way last night — to my count — Tbay was waived out of the face-off circle 12 times; Leafs once. Calls were missed on either side (as with most games) and those if called, can swing a game as well. Just can’t see all the dominos falling into place (as is now) for us to win a 7 game series against Tbay. Great game— good showing moving forward; and I liked the Kadri line very much. However,on a whole, Leafs were out-played and definitely out-chanced. Were it not for Freddy, I believe that TBay could have had at least 3 more goals. Freddy had a mitt full of 10 bell saves. GMKD— this does not mean a necessity to make blow the brains out trades moving current and future assets for UFAs. Stay the course, tweak if you have to; and if there is a trade that brings in a D upgrade with a contract that lasts at least another 2 years — then good to go. Tampa: At 5v5, shot attempts are 97-81, shots on goal are 57-35, scoring chances are 53-39, and high-danger chances are 24-8, all in favor of the Leafs. The shots on goal referenced is shots directed. Trekie the numbers you are referring to is absolutely correct. However, you can’t deny that Tampa is the ALPHA in the league. They are so complete top to bottom it’s really what the leafs should model themselves moving forward. Andersson stole that game, especially in the third period. They hemmed the leafs inside the dzone and literally it was a shooting gallery as if it was their daily practice routine. When the Leafs pull their goalie, they can’t even penetrate the blue line to get set. There is a huge gap between the two teams, especially in coaching and management. I don’t delve into the deep stats. Watched every minute of the game. I confess, my statement is subjective and not at all based on those deep stats. I saw many many many 10 bell saves by Freddy. Vaz was, IMO, much much less challenged and I can only remember maybe a handful of spectacular saves by him. Vaz had a guffaw that lead to a goal. Setting aside the EN goal, it was a one goal game; and to me; Freddy stole at least a trio of what appeared to be sure goals, from TBay. I didn’t get that vibe from Vaz last night. Just my opinion, but to me, Tbay outplayed Leafs last night. So , I humbly agree to disagree. Regardless, I stick with my opinion that Leafs, as at now, will not get to SCF this year; and they do have the assets and core to have a team that is very successful and can garner a couple of cups over a 1/2 a decade starting next year. They are for the total of the 2 games: TBay vs Leafs and include the early December game in Tbay where Leafs out-shot Tbay something like 50-20. Since then, Tbay has been on an absolute tear. Last night, IMO, the play favoured Tbay. The PP alone was absolute nuts. I’d love for Leafs to get past them this year; I just don’t see it; and more so, I am hoping that GMKD doesn’t make bold moves now to give up futures only to fall short in the quest this year; all at the expense of the benefits of having those assets (to play or trade) next year and the years after that. Pengy, I agree. Tampa is in a league of their own. That are Scarry good. TO desperately need to upgrade their defense core. Guadas/Muzzin fit the bill. Both very economical with minimum 2 years term. They can replace Gardiner/Zaitsev duo. Not only they save $1.5 mill but its a necessary upgrade both defensively and team toughness. Pengy, whatever. I generally don’t reply to you as I tend to not understand most of your comments. What this means is I generally consider your comments on the Leafs mostly gibberish. I could care less about your Pittsburg comments. I did reply this time as I noted how excessively wrong you were this time. I followed up my note with stats as I knew you wouldn’t accept that your assessment was significantly wrong. I watched the game too, I didn’t need the stats but felt it was necessary. This stat speaks volumes: high-danger chances are 24-8. Quite frankly, it was the TB goalie that kept them in the game. It appears you have a friend in Mike. Note I don’t reply to him either. I like both of them. I like Muzzin a bit more. Don’t count Manson out. Similar $’s, same size, almost 3 years younger than Muzzin,and is RHD. Both Manson and Muzzin very good Defenders. Muzzin has somewhat better offensive numbers. With the age benefit and RHD.. I’d like Manson first. Gudas is in between the two in age and is RHD but is smaller that Muzzin and Manson. Very gritty Dman. Comes in at about $700K less and just like Muzzin has one more year left after this year. Phi, not completely out, but getting there. My order of preference for the 3 would be Manson, Muzzin, Gudas but Muzzin, IMO , the first likely to be moved. Wow trekie. Way to make yourself look like a real arrogant jerk 👍👍. Nothing like responding to respectful disagreement with snide condescending remarks. Wow, some of you Leaf fans are the glass is half empty type. You just beat the best team in the NHL last night. The stalwart defensive duo of Zaitsev and Gardner led the team with 25+ and 24+ minutes. Chrism, your comments are noted. My apologies to Pengy, I think I was out of line. Pengy & Mike…I think Jake Muzzin is the better fit for the Penguins style of play. Muzzin can skate,makes a good outlet first pass, and is physical, and shock horror can play defense. Now that Brassard has said ok to trades to Winnipeg and Edmonton. Takes a big man to take his foot out of his own mouth. Others could take a lesson from you there Trekkie. Make it so. I am not blind to the fact that my viewpoints are not widely shared. I have my biases like most. I am old and jaded and still wishful for a cup sooner than later. The last one, I was just a lad sitting on my dad’s knee and not taking a great deal of it in. I’ll be enjoying a quaff at the same time as other Leafs fans here; when it happens. Apologies for my rants. I’m passionate and verbose. All three would be great additions to Pens. You are right re: Muzzin best fit in the here and now; I am just leaning towards Manson due to him being younger and with more term; basically same Cap hit. Trouba also good but UFA and therefore a gamble in acquisition as I don’t think Pens could fit in his Cap demands for next year and beyond. Your proposed trade of Brass, Maata, Jarry and 2nd for Trouba and Perrault is balanced and I believe fair; and certainly has the advantage of strengthening the D (Maata can be slow coming back to his own end). I like Perrault and he has played some limited shifts (maybe a hundred or so) at Centre this year and could fill in; but I’m not sure if his style works in the Pens modus operandi. It would be a good trade but a gamble IMO, and Trouba, unless I’m missing the mark, would be just a rental. Maata, IMO was likely to be a Cap casualty next year anyway. The net is a playoff push with a slightly stronger D but a D void next year with the expense of a 2nd rounder (I think Maata off-season may get a 2nd and a prospect possibly); and a flip of Brass/Jarry for Perrault, that may work. For me, I think this would be a long shot for GMJR to actually make. He is however, going to make a move and I highly expect Brass to be one of those players exiting. Oilers took Cody Cave off waivers from Boston, the interesting note on that is Cave was Peter Chiarelli last signing in Boston before being fired. With that in mind Don Sweeney should give PC a call and see what if would take to get Puljujarvi out of Edmonton. Would Danton Heinen and a 2nd round pick work? Caper, that has definitely crossed my mind as well regarding Puljujarvi in Boston. I have only been to 5 games this year in Edmonton, but kept a pretty close eye on him, plus what I see on TV. The kid is still a project and needs work. Also seems to not read the play all that well and is out of sink with his line. He puts himself in positions where he has no options frequently. In short the play dies with him too often and he doesn’t accomplish a whole lot. Big beefy kid that can skate that has some skill, plenty of work to do. So risky move. Not sure the B’s are in a position to wait and give up a a regular guy in your lineup this season? Maybe a good target in the off season, because if (big if) he gets it, he could be an impact player. Listening to Craig Button on the radio yesterday he suggested the player the Calgary Flames should see is available is Johnathan Quick of LA. He states you don’t know how Rittich is going to hold up and it’s important in todays NHL to have 2 quality goaltenders noting Quick still has term and reasonable salary remaining on his contract. To LA: Lehkonen, 2nd rnd pick 2019, 4rnd pick 2019 + pick and choose from C.Fleury, J.Evans or Olofsson (2nder in 2018). I think Montreal would likely get Muzzin for less than that. I realise they want a 1st plus– but that is a few assets. Muzzin, if traded, will be a great fit and great addition to the receiving team; whatever team that may be. HOPE YOU GET ONE RIGHT ….. I wouldn’t let Hayes sit on re-singing until the very last second like they did with Zuccarello a few years back. And Callahan (traded last minute). I’d be shipping all of these guys out now, Mcquaid, Hayes, Zuccarello. And once again, stop trying to win games ! Winning games is terrible…. Hank should decide to try to win a Cup…. Hank is going nowhere. It is what it is. After trading Rask, Carolina doesn’t have a center on their active roster that has a full year of NHL experience playing center. Waddell/Dundon have made some well publicized mistakes but they have also fixed the defense, fixed the goaltending (short term), and made the team tougher to play against. When Dundon spoke of a culture change at the end of last season the two players I didn’t think would be on the roster this season were Darling and Rask. GP – You are absolutely right about Rask/Darling being on the chopping block at the time. Don’t forget Skinner, too – although it was more Brind’Amour than Waddell/Dundon who implied he wouldn’t be around long. The culture change was overdue and welcomed. Now comes the fun/hard part – will it actually translate into wins? At the moment, it’s more or less a tie, but I like the playing style/effort a lot better now. The problem is Rask and Darling were not on the chopping block. Both started out the season on the roster when players who had a good compete level were traded or let go. Cost saving moves were camouflaged as a culture change. The real culture change started when Darling was sent to the minors. GP – oh, and you’re C comment is a little troubling – I hadn’t really noticed that with Staal on the shelf they are THAT inexperienced at C. Pengy…..Unfortunately tweaks ardent going to make the Penguins cup contenders.. We are both Penguins fans but I think the team is somewhere in between blockbuster and tweaks…LOL This team isn’t good enough unless we add some pieces. #1 priority a top 4 d-man…Jake Muzzin fits that bill and I know the Penguins are pushing hard for him. Unless we stabilize the back end we aren’t going to the Cup. Once we fix the back we can tweak the front. the playoffs are a different breed and ice is tough to find everything clamps down..
I’ve been avoiding the jinx of posting my true thoughts on the probabilities of a Pens cup this year(with team as is). With you on your thoughts. If Pens add a D like Muzzin and either sit JJ or play him only a handful of minutes—- all good. If however, they get a great add like Muzzin but continue to play JJ mid teens minutes or more…. I have great concerns. There is no way they move JJ; but a reduction in his ice time can only benefit the team. Looking forward to watching both games in the Desert. I have more confidence in an Arz win than beating VGKs. After those games, GMJR can have a good week to do a full review and make the inquiry calls and possibly start the ball rolling on trades; notorious for not waiting until the 11th hour of TDL. Shultz on the horizon so that is also something to look forward to. Pengy, it seems to me that the underlying reason for Jack Johnson’s signing and playing time in the NHL is that perhaps his friend Crosby is insisting on helping him regain his finances after everything that happened to him. It could be more than just an old boys club type of thing. Either way, it is bad for the team. Jake Muzzin would be fantastic for Pittsburgh. Olli Maatta would be a good left side replacement as he is young and can still learn more. Add a draft pick for the inevitable Kings re-build and there is a decent deal to be had there for both sides.